Our pets' love is unconditional – what we may not see is that they can also provide us with the answers to cure cancer. Helping them, helps us. Approximately half of human cancer patients undergo radiation therapy and many companion animals now have access to this treatment option. 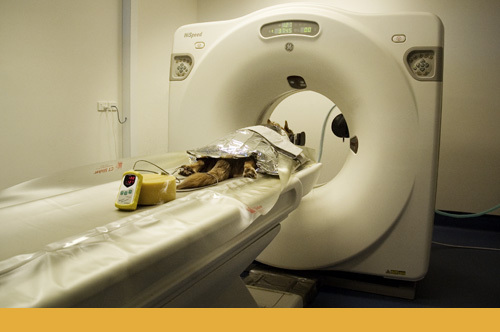 There are approximately 100 facilities in the Northern Hemisphere that are actively treating animals with radiation therapy. The radiation facility provided by the Foundation at Brisbane Veterinary Specialist Centre is the first dedicated Linear Accelerator for animals in the southern hemisphere. Radiation therapy is of benefit as a primary and adjunctive therapy and produces significantly prolonged remissions in comparison to the use of one treatment modality alone. Prior to the availability of radiation treatment, surgery was the only option for many companion animals with solid malignancies. Our radiation team includes a veterinary radiation oncologist, a team of radiation therapists trained in treating human patients with cancer, a radiation physicist who also acts as our radiation safety officer and a team of radiation engineers. Our team of engineers and a radiation physicist ensure tolerances in dose delivery are equal to, or better than, machines in clinical use for humans. 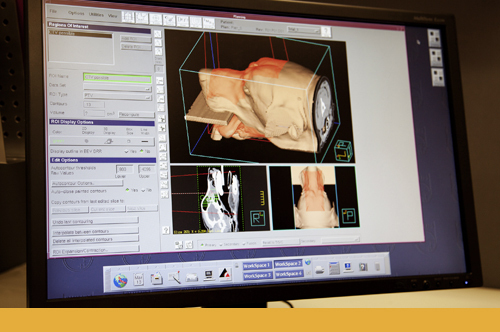 We use sophisticated computer software to allow our CT scanner data to be used to simulate and provide three-dimensional radiation planning as is done for humans with cancer undergoing radiation therapy. Our doses are accurately calculated and delivered to strict target volumes sparing normal susceptible tissues. Dogs and cats are sometimes treated with chemotherapy and often use the same drugs used to treat people with cancer. Forms of chemotherapy delivery vary and may include injection into muscles or under the skin and sometimes into body cavities or the tumours themselves, orally taken pills or capsules, or given intravenously sometimes even directed into the arteries supplying the tumour by a technique known as interventional radiography. We also use targeted drug therapy aimed at the molecular level. Drugs such as toceranib have specific molecular targets and this minimises side effects while controlling cancer in selected individuals. Surgery is used in animal cancer management to control or eliminate the local cancer and to improve the patient's quality of life. Surgical removal of localised cancer in companion animals cures more cancer patients than any other form of treatment. Special surgical techniques and guidelines have been developed and The Foundation supports research into innovative and promising surgery research such as 3D printed devices and endo-prostheses, light directed surgery, sentinel node detection and other new protocols on the horizon. 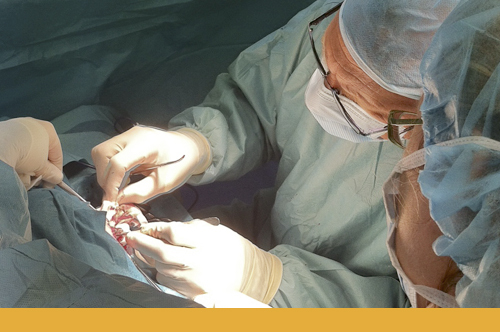 Our surgeons are members of the Veterinary Society of Surgical Oncology. The Australian Animal Cancer Foundation funds valuable equipment and research essential to the treatment and study of cancer in companion animals. The publication of this valuable research is made available to researchers all over the world, fast tracking their work and collectively taking us closer to a cure. Purchase and installation of a General Electric multislice, helical CT scanner for provision of digital data for three dimensional treatment planning and radiation simulation. This device is also used for diagnosis and staging of cancers in animals presented to BVSC – The Animal Hospital, providing data for continuing clinical research. Purchase of a minus eighty degrees Celsius ultralow freezer for archiving tissue, establishment of a tissue bank, storage of tissue and fluids for research and provision of a facility for an allograft bone bank. Purchase of an ultra centrifuge for preparing body fluids for tests and storage.